An attacker has driven a pick-up truck along a cycle path in New York. At least eight people in New York City have been killed and 11 injured after a driver rammed into cyclists and pedestrians in Lower Manhattan before being apprehended by the police. He was also shot in the stomach and has been placed in custody. Two law enforcement sources familiar with the investigation identified the suspect as Sayfullo Habibullaevic Saipov. He is from Uzbekistan and came to the United States in 2010, sources said. A note found in the truck claimed the attack was for ISIS. Sayfullo Saipov that was taken in October 2016 after an arrest in St. Charles County, Mo. he was in the system and known to authorities. Saipov was arrested on a warrant by the Missouri State Highway Patrol on October 21, 2016. 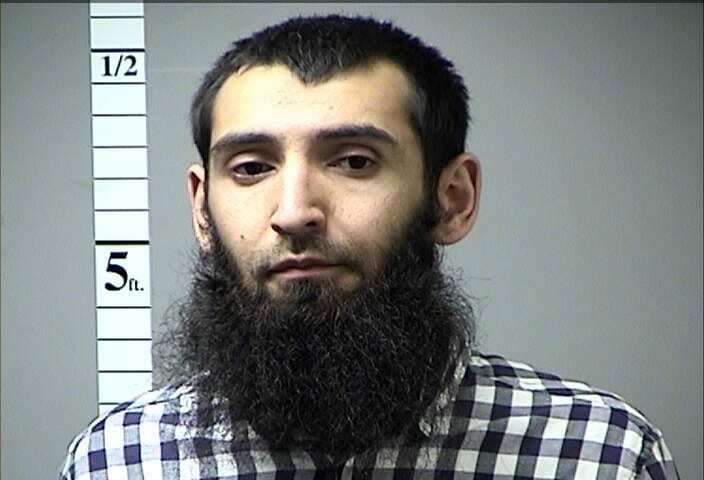 Sayfullo Saipov most recently lived in New Jersey. And also linked to an address in Florida. The incident on Tuesday “was a particularly cowardly act of terror aimed at innocent civilians”, Bill de Blasio, mayor of New York City, told a news conference. The truck then crashed into a school bus, injuring at least two children and two adults. After the collision, the driver exited the vehicle brandishing two imitation guns, at which point he was shot by a police officer. The suspect was wounded in the abdomen and transferred to a local hospital, James O’Neill, police commissioner, told the same press conference. A paintball gun and a pellet gun were recovered from the scene. There was no information about the suspect’s motive.